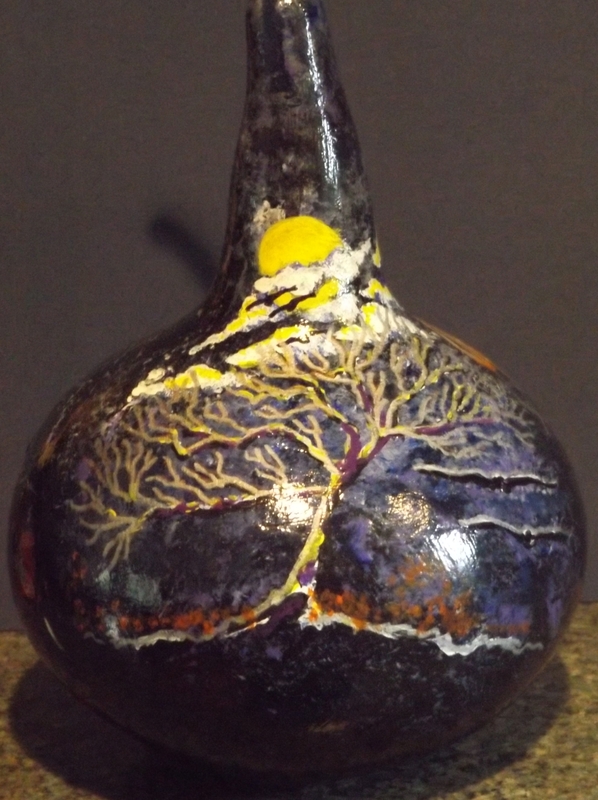 Finished up another painted gourd. This one just in time for Halloween. She/he came off friendlier than I anticipated, but someone said she looks total evil, ready to eat you. 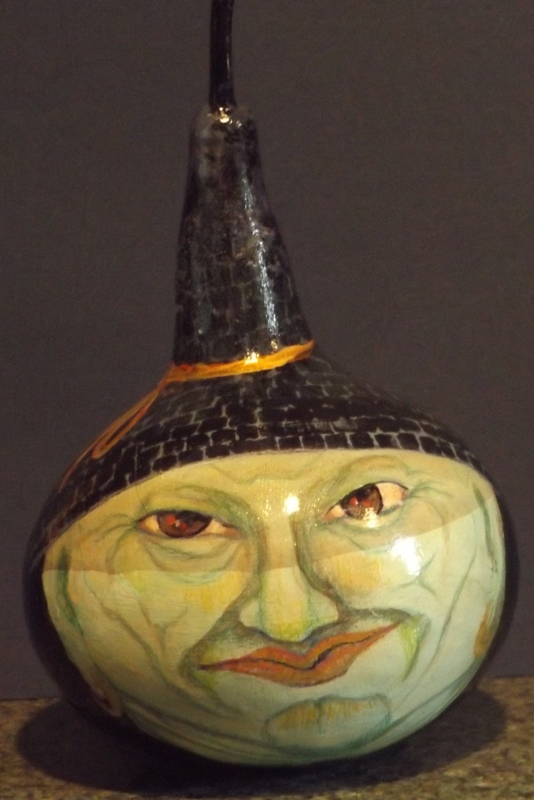 I believe my sister Juli grew this gourd in her garden. I have some I have planted but I’m too far north for them to ripen reliably. Right now the fruits are just beginning to develop.